My phone doesn’t work well in the cold, something about the combination of the cold air and my poor circulation makes trying to do anything pointless. If I am out in the snow with the girls I have to think ahead if I want to snap a picture or be able to respond to a call or text. It’s not complicated, neither is my ability to muster flexibility and patience. If I wear myself out or if I don’t speak up my capacity to operate from a place of acceptance or openness shrinks. It doesn’t matter how often I hear the saying about putting your own air mask on first or that you can’t accept love from others unless you first love yourself, somewhere along the line taking care of self or loving self began to feel like a flaw. It breaks my heart that pride in a job well done has been smudged with a misguided preoccupation with humility. I want it to be ok, no, I want each of us to feel like it’s ok to be proud of what we’ve done. One person’s Kilimanjaro may be another person’s 5 minutes on a treadmill. I apologize if this is maudlin, but our time is so short, each minute granted without guarantee of another, that it seems like we ought to celebrate. If we cannot do it for ourselves, then maybe we can do it in pursuit of greater compassion for others. Very much yes to this. I often wonder why there is that need to set our own bars to those of others. There’s also that saying “If you don’t toot your own horn, who else will?” I take that to mean, if you don’t say what makes you proud, how will anyone else know about it? 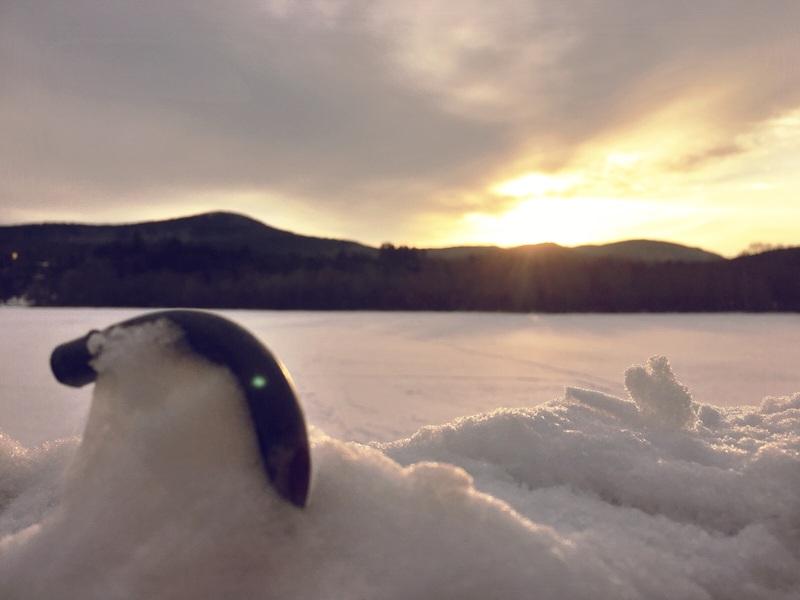 Side note – what is in the foreground of this beautiful snowy photo? I’ve been puzzling over it. Random, I know.